Where badminton players just get better. Keep your badminton up over this Whitsun 2018 break! The West Midlands Performance Centre are hosting their holiday badminton camps over Whitsun 2018. Again this is where players for all levels from beginners, intermediate, county players and international players come together under one roof to train hard. Training us under the watchful eyes of two former England players Lorraine Cole and Julia Mann. 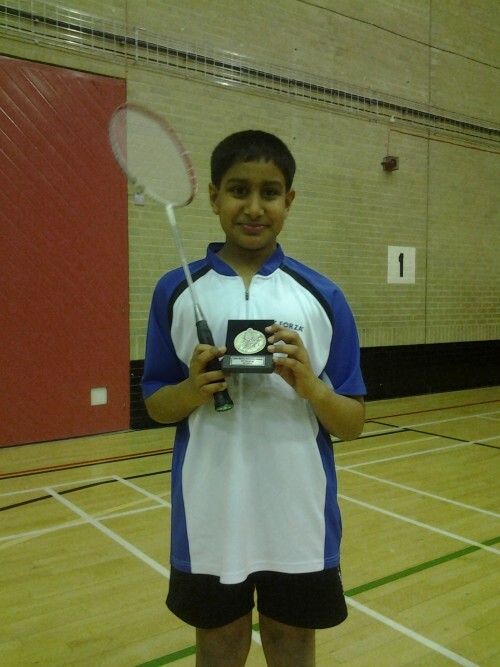 The badminton camp is hosted at the Sport and Fitness Centre, University of Birmingham. Four hours per day three days over Whitsun half-term. All the details of the Whitsun 2018 badminton camp can be found HERE. The deadline was Friday 18 May 2018 but there are just a couple of places left. Visit the website with full details including the booking form. 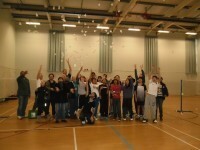 Friday 3 January 14.00 saw over 30 children embark on a 24 hour session of badminton. The children all members of either the West Midlands Performance Centre (WMPC) and/or Warwickshire Schools Badminton Association (WSBA) in Birmingham. Like most events the idea started as a bit of banter which within minutes became a firm idea. The main focus was to raise money by playing badminton continuously on one court for 24 hours and donate funds raised to a charity. Stephanie Cartwright-Randle (coach) and Hassan Rajbhai (parent) set about making a list of essential tasks to be completed if the event was to go ahead. Finding a venue that was willing to open all night was going to be a challenge, but as Steph runs badminton sessions she started by asking Synergy at the Calthorpe School, Highgate. Andrew Holden (manager), when asked was more than helpful and agreed to allow the use of the sports hall and leisure facilities FOC and stated that ‘I would feel honoured to be of assistance’. Hassan focused on a charity and contacted John Todd at Mercy in Action who came along to start play on the day. Mercy in Action in conjunction with Who is Hussain is the charity that will benefit from the money raised. John gave a brief description of how he started the charity with his wife and explained how ‘People in the central region of the Philippines have been hit by a devastating storm that has left disaster and chaos in its wake.’ After thanking those present at the start he informed them that ‘Money raised by the children taking part in this Badminton Marathon will go towards helping those living in the Philippines affected by the storm’. The venue (Synergy) boasts two courts and the intention was to keep one court continuously populated with juniors playing badminton, whilst the other court was open for challenges and general games. Parents, friends and colleagues from a variety of local badminton groups and clubs queued up throughout the 24 hours to play some of the older (15-17) juniors. Which proved very entertaining for the spectators. The youngest player, Rohan Motwani (7) played his last game just before midnight (his mom waited patiently whilst resting her eyes) and was keen to return early Saturday. His brother Raghav played until almost 2.00 in the morning and returned just after 9. Family members Victoria (10), sister Selina (12) and dad Victor all participated in games on the main court throughout the 24 hours. raised money through sponsorship and one young player Nurali Rajbhai (12), who was so moved by the TV footage of the floors, set about raising money. He was so motivated and enthusiastic about the events that he raised over £400.00. Well done Nurali! Total monies raised (to date) is £1400.00 with sponsorship still coming in. There are many adults and parents that supported this events from its conception back in early December 2013 to its happening on 3rd/4th January. So thanks go to Hassan Rajbhai, Andy Holden, Derek Bevan, Rizvan Sidicot, Shabir Jivraj, Hafiz Meghjee, Victor Liang, all of the Junior players from WMPC and WSBA and parents. Feedback from all concerned was very encouraging so similar events are already being discussed. Interested in participating in a little Monday Madness or even in Wacky Wednesdays? Stephanie Cartwright-Randle the Development Office at the Performance Centre has organised some SUMMER HIOLIDAY BADMINTON FUN. If your child or children are interested in having FUN over the Summer Holidays then why not send them along to ONE or a FEW of her sessions. These sessions will be all about BADMINTON FUN. Stephanie is interested in spreading the badminton word among kids and making sure they have some fun whilst playing the game.